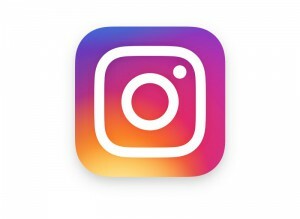 ﻿ 6 Tips for Instagram Business » Red Mango Marketing! Looking to up your branding game for your small business? Check out Instagram for business. Create a visual experience for your customers. Here are 6 tips for managing your Instagram Business account. As we all know, social media marketing is a commitment. Stay in front of your audience by posting content consistently. Start small, try 3 posts a week and move on from there. Instagram gives you one link space, so use it to your advantage. When you have a new product, blog post, or landing page to promote, pop your link in your bio and create posts with a call to action to click on the link in your biography. If you have an engaged audience this can be a great way to generate a little more traffic. Don’t be scared to ask a few questions, it helps with engagement. They might not respond right away, but don’t get discouraged. Keep at it and find your own unique style to get them to interact with you. Create and lock in a signature look and feel for your account. It’s great for engagement and attracting eyes to your posts in an ever-cluttered feed. Decide how you want your account to come across visually. This means choosing colors, specific filters and giving photos a consistent look. Your Instagram Business account as an extension of your brand – just as you would carefully plan any other initiative, plan your Instagram posts and images. Carefully choose and edit your pictures, vary composition and test different captions. Hashtags are used for searching, which provides you with an opportunity to get in front of new eyes. When choosing hashtags for your next post, think about how people might be searching for your content topic. Also consider how saturated a hashtag may be – targeting is the name of the game. Instagram allows for 30 hashtags – use them strategically for growth. Use your resources. Use photos of your employees working at your store, helping customers, highlight an employee. Take your customers behind the scenes, let your audience in on content they wouldn’t otherwise receive. This gives people another reason to follow your Instagram account. Have any more tips? Let us know! This entry was posted on Friday, June 17th, 2016 at 1:44 pm	and is filed under News. You can follow any responses to this entry through the RSS 2.0 feed. Both comments and pings are currently closed.